You would expect a leading luxury crossover to incorporate the best of today’s automotive features, and that is exactly what you find in the list of 2017 Land Rover Range Rover Evoque technology. This vehicle both improves and simplifies the tech features of the past, thereby upgrading every mile you drive in Bridgewater. When you’re ready to further explore these features in person, come examine the inventory at Land Rover Princeton. This next-generation infotainment system is easier to use and more powerful than ever. Simple controls take you through a series of features that integrate information, entertainment, on-demand assistance, and seamless ease into all of your travels. When you get close to your home in Flemington, this system will send a signal from your vehicle to your in-home systems. That way when you arrive the lights are on, the garage door is open, and your HVAC is making the house comfortable. Loading with your hands full is no problem thanks to this smart system. Simply kick the area underneath the tailgate and the rear door opens automatically as long as the key is in your pocket. You are free to fill the cabin with rich audio projected through one of two Meridian digital sound systems. The standard version has 10 speakers and 380 watts of sound, and the upgraded version has 16 speakers, 835 watts, and a dual-channel subwoofer. Trying to park this larger vehicle is simple with the optional surround-view camera. You have a perfect view of every angle of the vehicle when getting in or out of tight spaces, and you can also connect with help on the road right through an app on your phone. The cabin even incorporates subtle pieces of technology like ambient interior lighting and a system that monitors air purity. Once you have these tech features at your disposal, you will wonder how you ever drove without them. 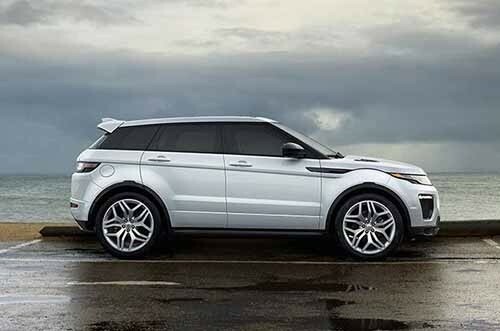 Let the team at Land Rover Princeton show you everything this model has to offer. If you think this is the daily driver you have been looking for, we have extensive financing resources to extend regardless of which trim you choose. Please contact us with any and all of your questions.